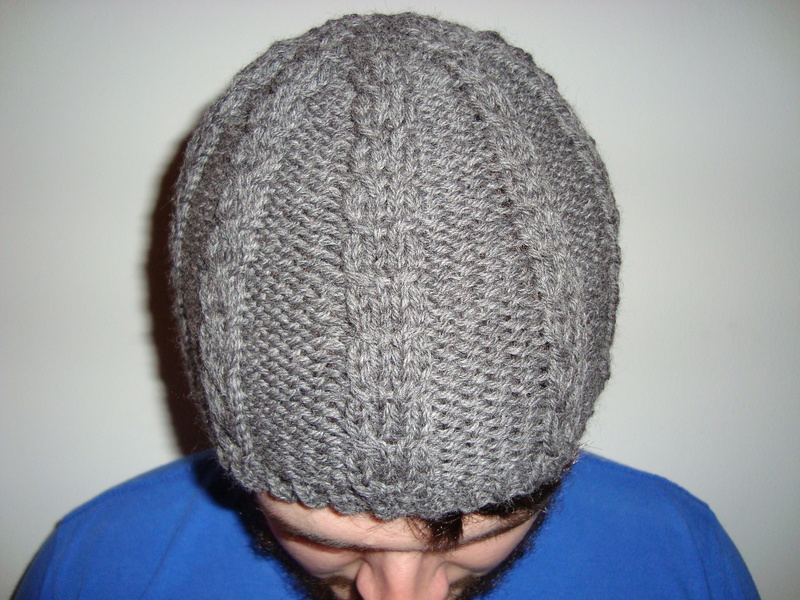 Over the past week I’ve been working on yet another Christmas project, the Urban Zen Cabled Hat My hat didn’t come out as crisp looking as the one that accompanies the pattern, but nonetheless, it’ll do. 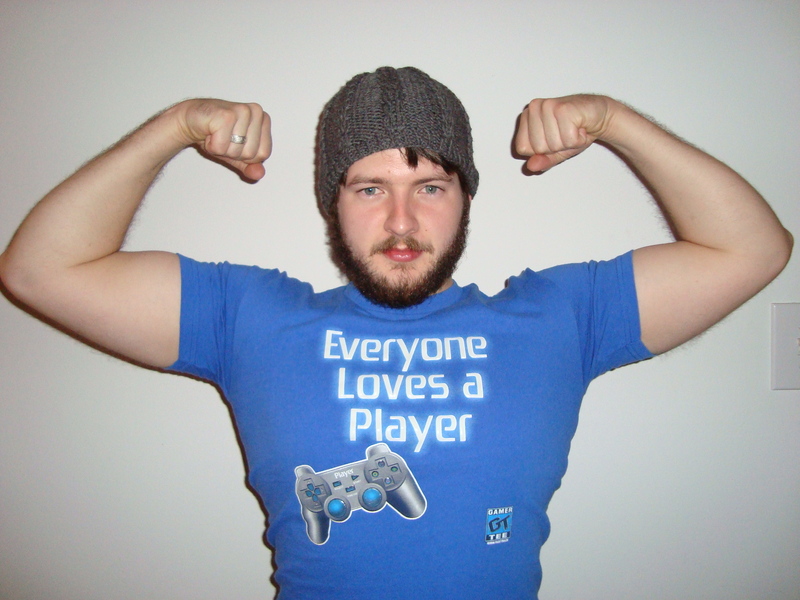 Kai adds a bit of masculinity to the Zen Cabled Beanie. I modified the pattern slightly by decreasing the initial cast on number to 90. 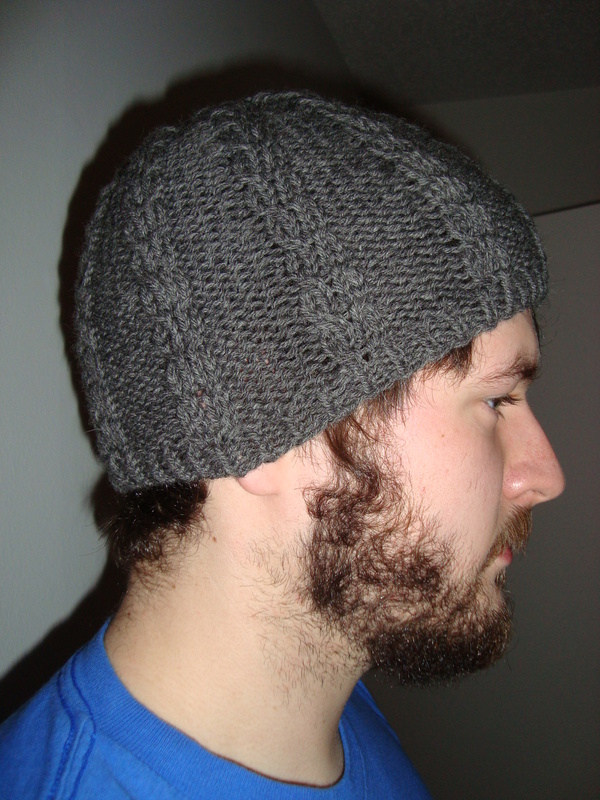 Prior experience with Cascade 220 and size 8 needles told me that 100 stitches would result in a slouchy hat. Since this hat was meant for Mr. Green, slouch was out of the question, and as such, I believe I made the right decision. A word of warning, though – if you plan to cast on 90 stitches like I did, do NOT P2tog during the set up row. Just P5, K4 all the way around. After that, the pattern can be followed exactly as it is written. Due to the size of the rim on Maija’s hat, I have now become concerned about the beanie I’ve started for Mr. Green, which is being knit with the same yarn (albeit in a different color) and the same needles. The pattern I’m using said to cast on 100 stitches, which I downgraded to 90. I really don’t want to end up with a slouchy beanie. I think I might skip the blocking step to avoid widening the rim. Now that my post has come to an end, I should probably post some pictures of my latest accomplishment. 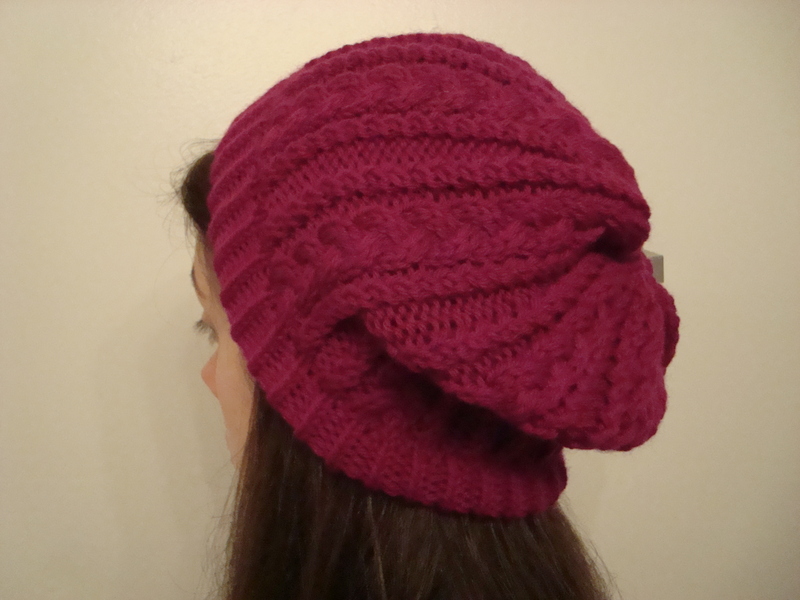 Maija's Hat - Look at that slouch! 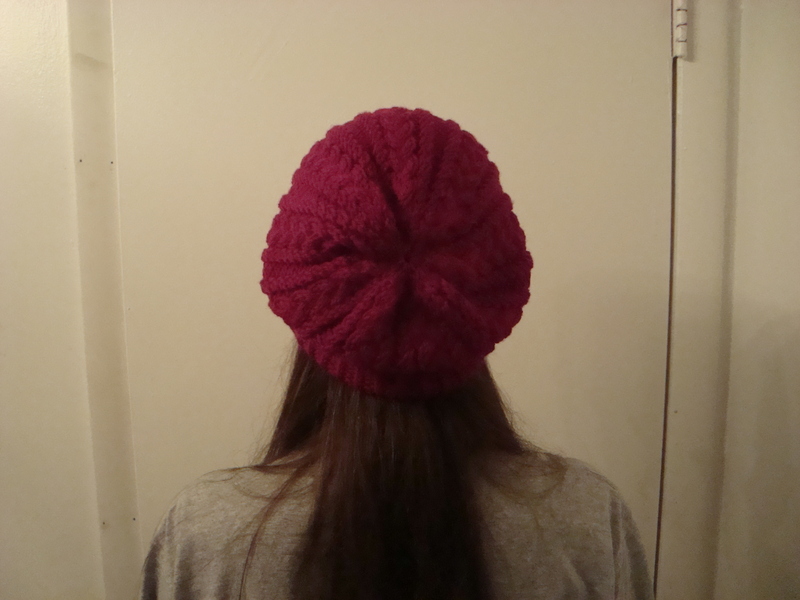 A view of Maija's hat from the back. The pattern was very easy, and I didn’t come across any mistakes. 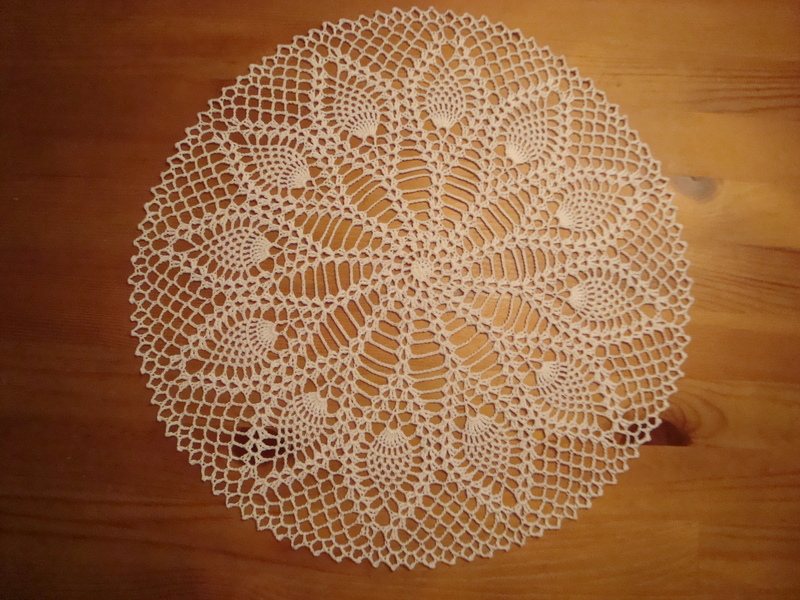 If you wish to crochet this doily, just search for it on Ravelry. The title of this post is misleading since I don’t have any real progress to share, but I wanted to touch base since I’ve been away for a while. My dad’s socks remain in the same condition they were when I last posted. I haven’t touched them in weeks due to a recently diagnosed medical condition. I have started a new project (yikes!) to help with my recovery, and I will be completing and sharing that project with you before continuing the socks.